Following the $500-million+ global box office of Legendary Pictures’ Godzilla remake, the originators of the beast want in on that new brand awareness as Japan’s Toho Studios is gearing up for their own homegrown Godzilla movie, according to Cinema Today (via The Hollywood Reporter). 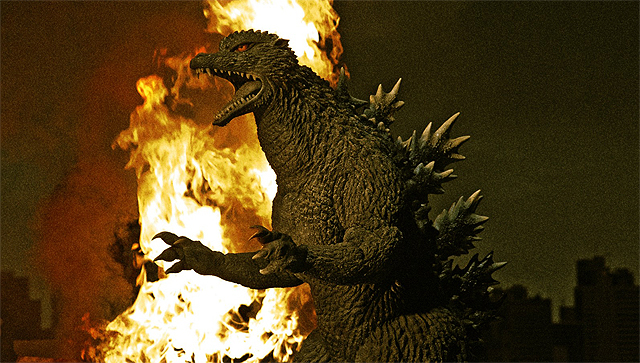 Production on the 29th Godzilla movie, the first from Toho since 2004’s Godzilla: Final Wars, will begin in summer 2015 and aims for global market appeal, meaning we could see a major release here in the states come 2016. In the 2004 film, Toho used a visual of the 1998 American Godzilla being quickly and mercilessly defeated by Japanese Godzilla at the Sydney Opera House. Their press release states that they will utilize CG technology, which means that the man-in-suit days may be numbered, although it will be interesting to see if the new American version’s design will influence the iconic monster, who first appeared in 1954 and stands as Guinness World Records 2015’s longest-running movie franchise. Meanwhile, Legendary and Warner Bros. are cooking up their own Godzilla sequel with director Gareth Edwards and screenwriter Max Borenstein returning for a June 8, 2018 release. In the interim, Edwards will direct a currently untitled Star Wars spin-off film for release on December 16, 2016.